Join sequin artist Georges Valris for a discussion about the exhibition of Vodou flags in Bondye: Between and Beyond. Valris collaborated with Tina Girouard on the Erzulie artwork on view in the exhibition. 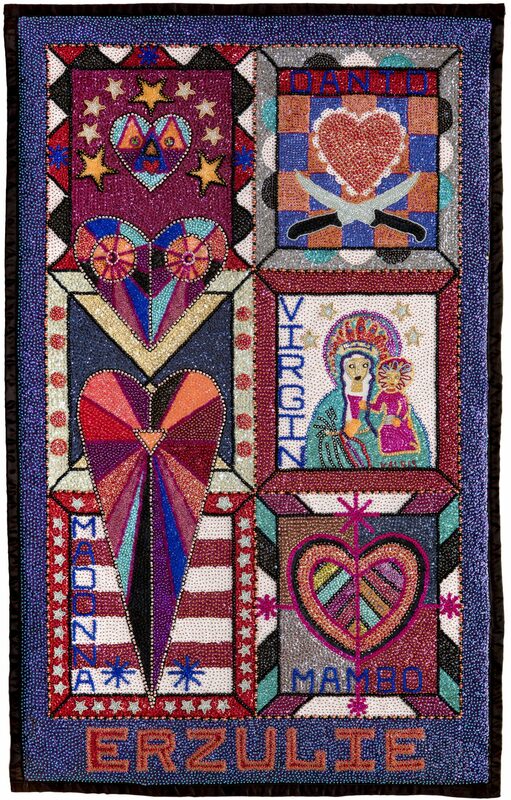 Georges Valris, born in Cavaillon, Haiti, began creating Vodou flags in the late 1980s. Early in his career, Georges became the manager of Tina Girouard’s Port-au-Prince atelier, where he and other skilled artisans worked with Tina in executing her designs. In addition, Georges and Tina created collaborative works that have been exhibited widely in the United States. Valris is a featured artist at the annual Sante Fe International Folk Art Market.